Despite the chatter about a nursing shortage, registered nurses are near the top of the list when it comes to employment growth, according to the U.S. Department of Labor. In the past decade, the average age of employed RNs has increased by nearly two years, from 42.7 years in 2000 to 44.6 years. Although nurses are choosing to continue working rather than retire, the United States will need to produce 1.1 million newly registered nurses by 2022 to fill jobs and replace those who finally do retire. Why? Since 2010, there have been vast increases in the number of people over 65 in the U.S. As the baby boomer generation ages, this group will have many medical and health needs and will put a strain on our health system. In addition, recent reforms in healthcare have afforded millions of people access to the healthcare system. More nurses and health professionals are needed in response. Moreover, there is going to be a large demand for care outside of the traditional hospital setting, especially in rural and underserved areas. Offer flexible schedules: This will help nurses juggle their busy work schedule with home life and educational opportunities. When nurses are happy with their schedules, they will have a more positive work atmosphere, helping hospitals retain quality nurses. Encourage career development: The Institute of Medicine recommendations call for 80 percent of nurses to have a bachelor's degree by 2020. Hospitals can encourage that their nurses obtain the highest education possible, which will encourage a feeling of satisfaction that may encourage nurses to stay within the organization. Listen to what nurses have to say: Hospital supervisors and managers need to give nurses ample opportunities to voice their concerns and share ideas about improving workflow. Implementing those ideas and suggestions would foster of feeling of being valued among the nurses. Increase federal funding for the Nurse Training Act: Title VIII of the Public Health Service Act has seen an average 2 percent funding decrease over the last four years. ANA advocated an increase of 12 percent for 2015. Bolster nursing education: Develop and recruit more nursing professors and ensure an adequate number of clinical training sites for nursing students. Highlight importance of transitioning from education to practice: With so many RNs nearing retirement age, forward-thinking hospitals and other employers should hire new nursing graduates now to learn from experienced RNs. As medical advances increase longevity and technological advances in patient care increase demand for more medical procedures and providers, the demand for knowledgeable healthcare practitioners continues to grow. As a critical component of the healthcare workforce, the nursing profession must keep pace with changes in the healthcare environment to ensure the continued delivery of high quality, safe and effective patient care. 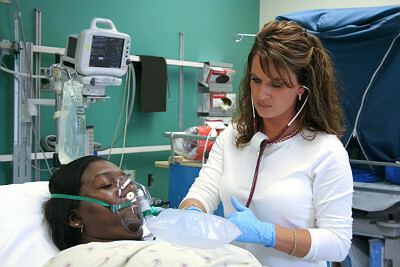 To stay current, new nurses must be trained and equipped with the appropriate skills. For educators and policymakers to plan for the future, it is first necessary to assess requirements for the future workforce, based on expectations of the work environment. As a result of this assessment, the goal of nursing educators should be to address educational approaches and curricula requirements for nurses to fill those roles.